The Lazers organization was founded in 1992 by LTRC to provide young ladies a travel program to play fastpitch softball at a competitive level. Since then, the Lazers program has flourished into one of the top travel softball programs in Baltimore County, producing first team all-county high school and college players. Lazers teams have won several state titles and numerous first-place finishes in various tournaments. Lazers teams make appearances at national tournaments, including the NSA, the USSSA World Series, and the ASA Nationals. We prepare our girls to play competitive softball while building confidence and character through teamwork, and having lots of fun! The Lazers organization supports strong, nurturing programs that foster player development, teamwork, portsmanship, and having lots of fun! Win or lose, the emphasis is on helping each girl develop, grow, get the most out of her abilities and have lots of fun! Our players build strong friendships with their teammates. They meet and compete with girls that share their outstanding abilities and passions for softball. 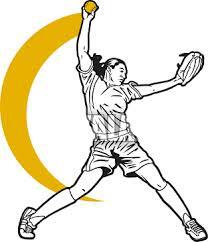 Lazer players receive expert training to play organized fastpitch softball. If you want your daughter to play sotball in high school and college, we will help her pursue those goals. CLICK HERE TO VISIT OUR WEBSITE FOR MORE INFORMATION! !